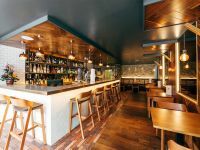 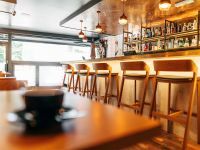 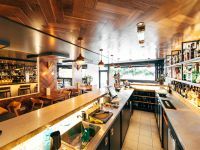 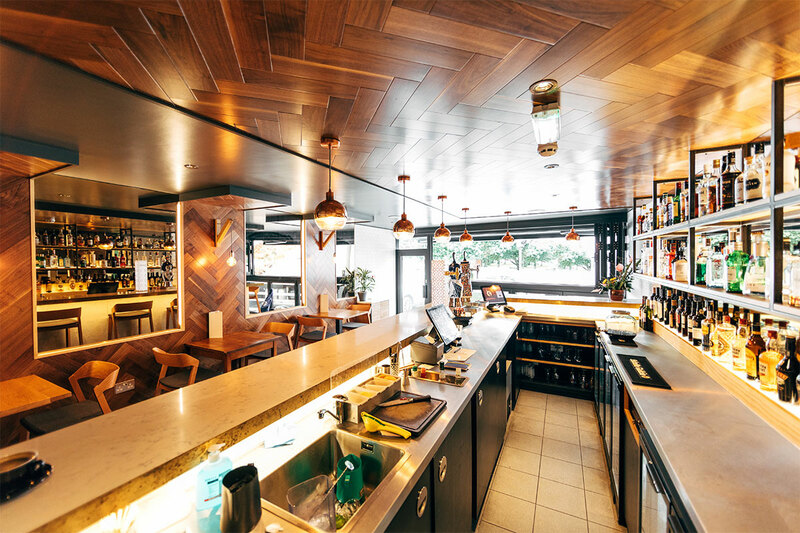 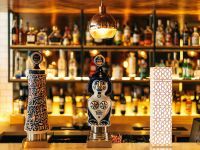 Andalucía Bar is an independent family owned wine bar and café delivering excellent wine, coffee and small plates of food in a gorgeous environment. 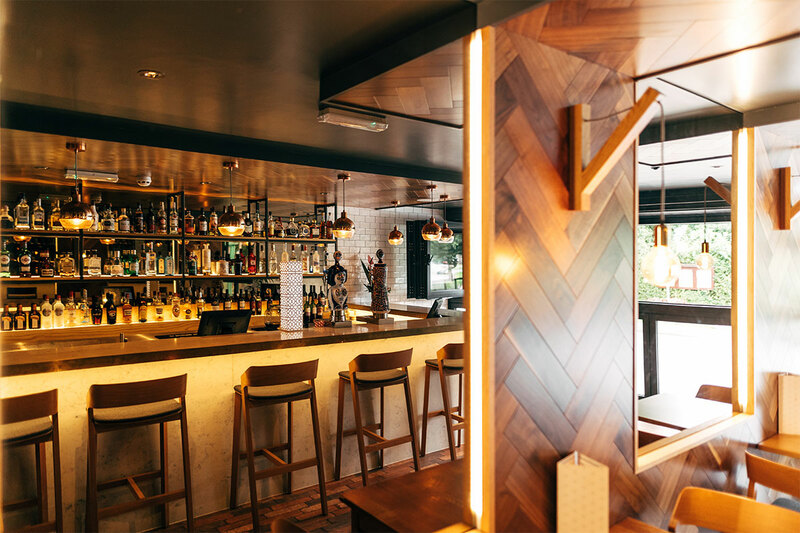 Blenheim Design Studio was approached by Quirosa brothers to develop the wine bar concept, ensuring that the overall ambience was darker, moodier version of the already successful Andalucía Tapas restaurant. 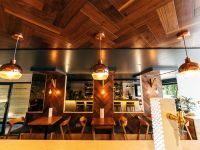 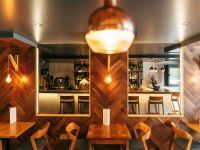 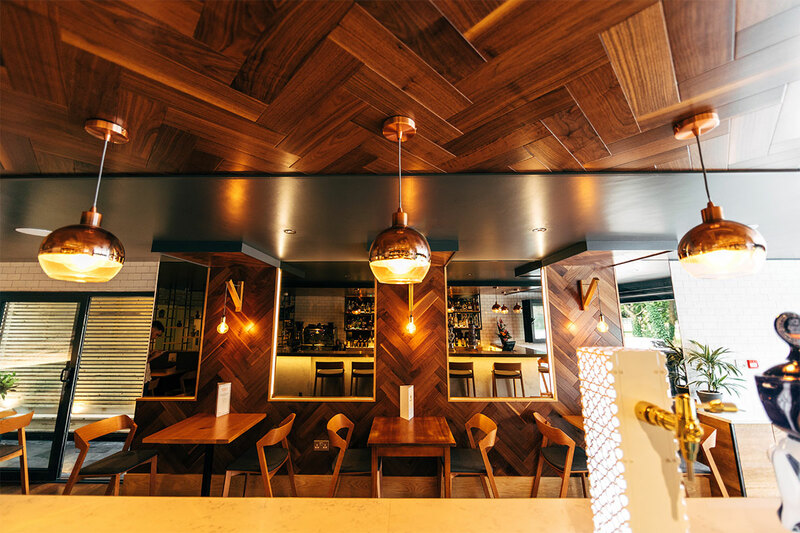 Particular design highlights include an eye-catching timber clad wall and ceiling with bespoke handmade wall lights. 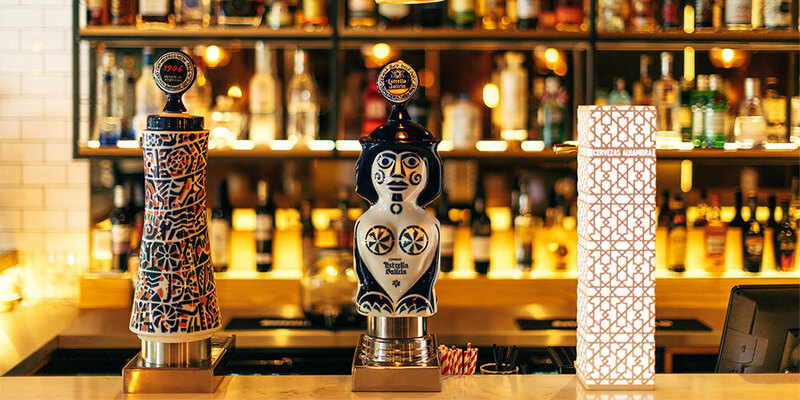 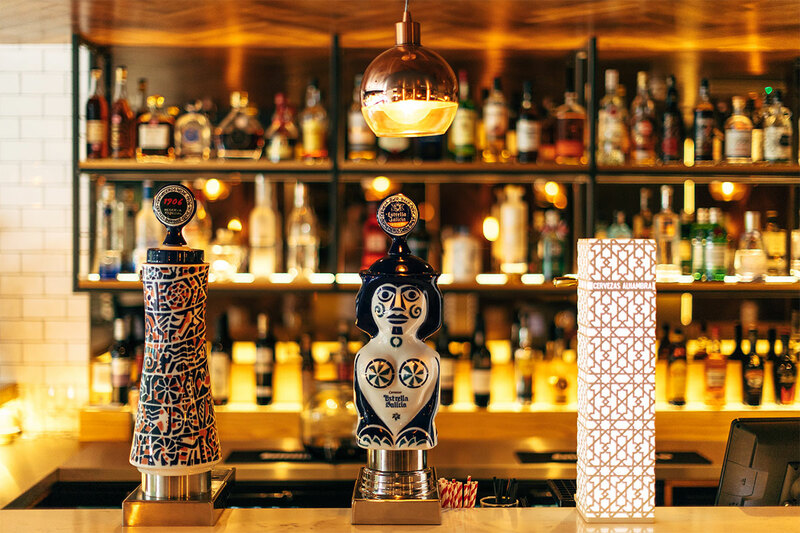 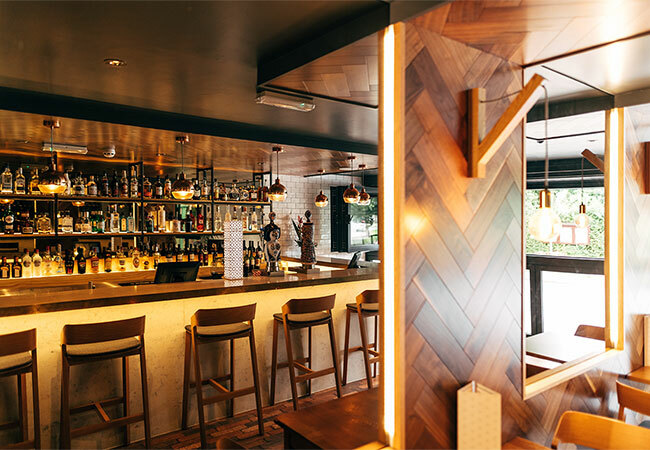 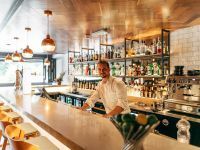 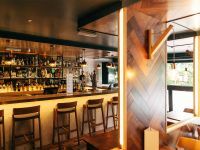 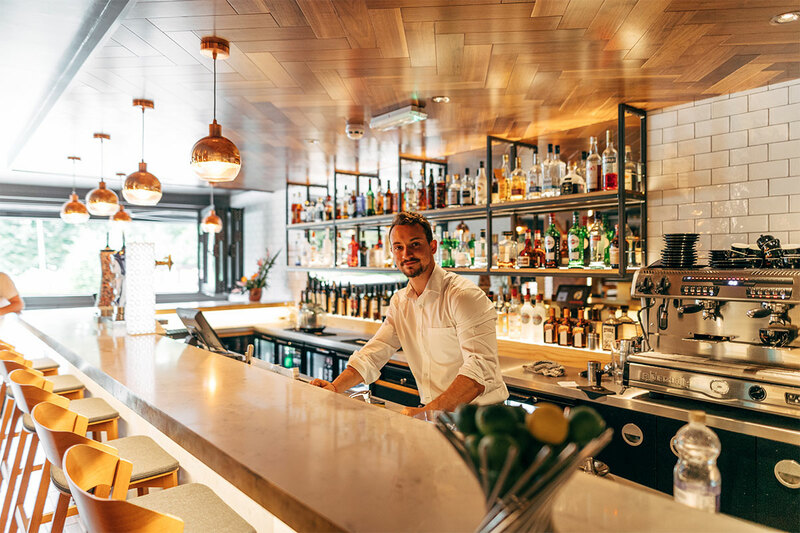 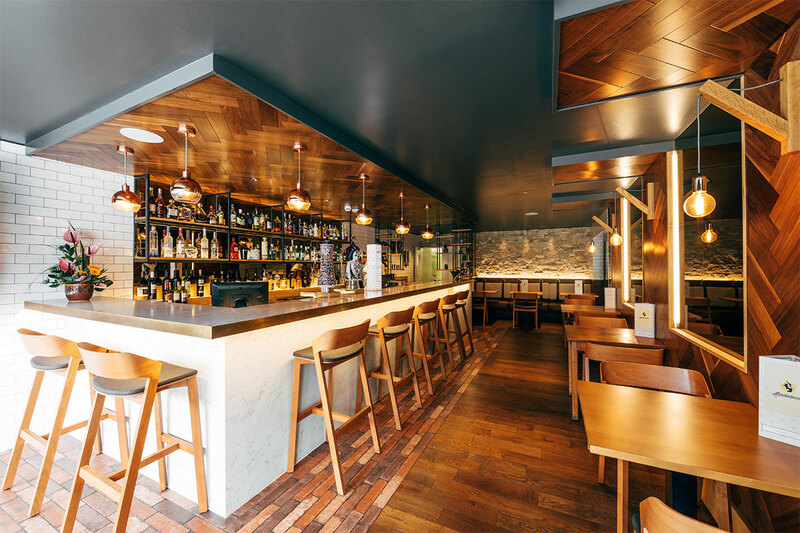 A thick slab of white marble set inside a brass frame covers the feature bar, where customers are invited to enjoy casual drinks before dinner at the Andalucía restaurant. 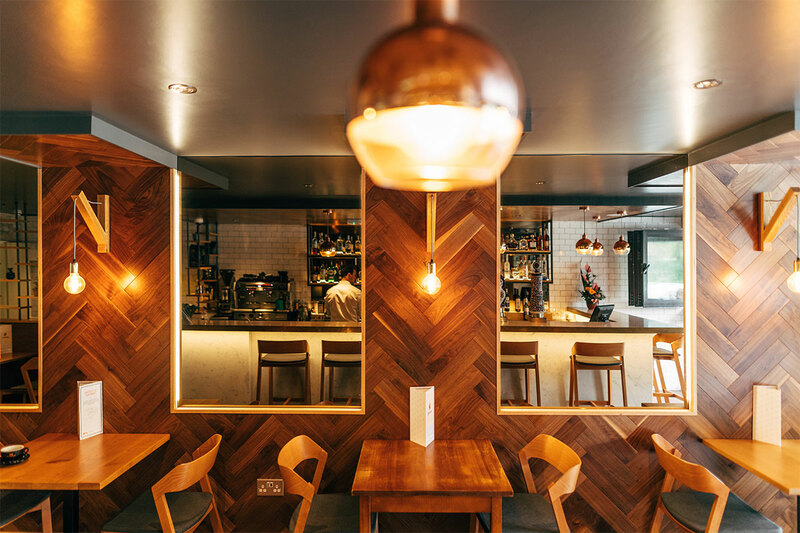 Side illuminated bronze mirrors reflect the 6 metre long white marble bar drawing the customers through the space. 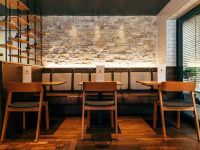 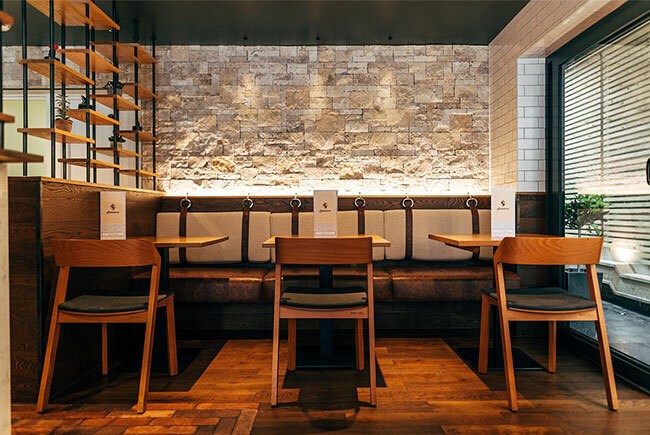 Our designers utilized the stone clad wall, also featured in the restaurant, drawing an inspiration from the ancient Alhambra walls of Granada, Quirosa family roots. 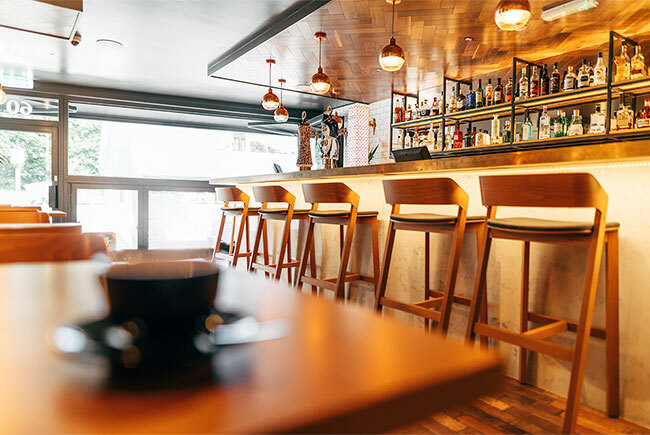 Beautifully crafted bar with sophisticated palette of materials has become a destination place for locals and tourists.